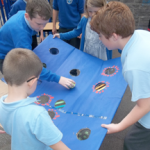 The Year 6 children made games for the annual Pontarddulais Primary Summer Fayre. 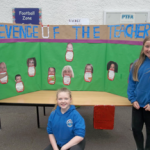 They had the least amount of time they’ve ever had to prepare (it’s hard being in Year 6!) but created some fantastic, creative games! They worked in friendship groups on the project. They planned, designed, evaluated and made their games out of different materials. 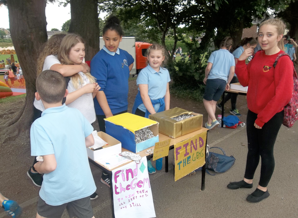 There was a fantastic range of very clever games for the general public to play. They behaved extremely well, were extremely polite and well-mannered and raised a lot of money for the school. The children gain so much from this activity and all of their key skills are focused upon and developed. Some of them should consider going on ‘Dragon’s Den’ to see if they can secure an investment!